Where would you guess was the first Christian country on earth? Italy perhaps? Nope! It was Armenia. This small country in the Caucuses was the first nation to adopt Christianity as its state religion in 301 AD. In fact, Christianity began to spread throughout Armenia soon after the death of Jesus Christ. As a result, there are thousands of religious buildings and artefacts scattered across Armenia. 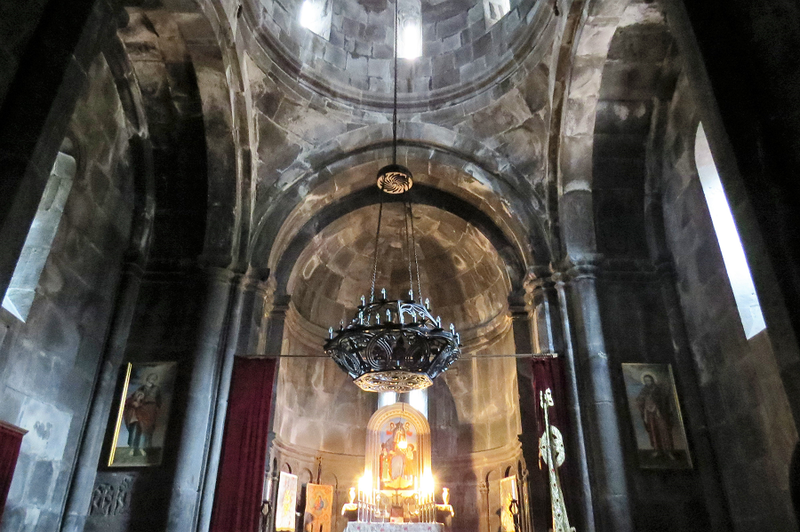 Armenia has been described as an ‘open-air museum of Christianity’, and we think that’s a pretty accurate description! One of the main reasons we travelled to Armenia was to visit the stunning monasteries dotted across the Armenian countryside. Many of these monasteries date back hundreds of years and are often located in remote gorges or atop mountains. Some are even carved into rocky cliff faces. 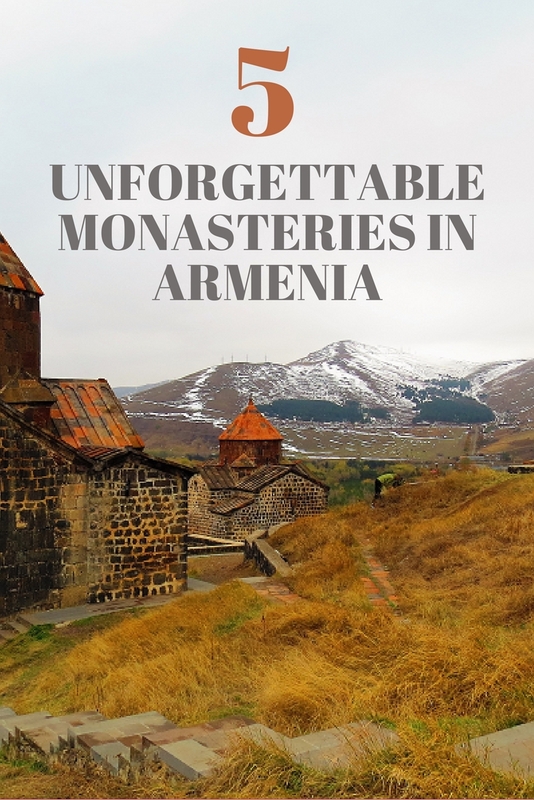 There are so many monasteries to choose from in Armenia, so we have listed our 5 favourites below to get you started. The best part? Entry to all of these monasteries is free! Geghard Monastery is the most accessible monastery in Armenia, located less than one hour’s drive from Yerevan. This rock-hewn monastic complex is an incredible example of the building skills of Armenia’s medieval architects. The main buildings were completed in the 13th century, but some sections of the monastery date back as far as 1177 AD. An entire community of monks were housed in the complex and the monks lived, studied and worked here. The monastery included a school, scriptorium and a library, but also held important religious relics. The most famous relic was the spear that wounded Christ on the Cross, but this is now missing. There are plenty of tour companies and hostels in Yerevan offering reasonably priced day trips to Geghard Monastery. You can also catch a minibus from the Gai bus station in Yerevan (near the Mercedes Benz shop) to Garni, then catch a taxi or walk to Geghard. The first bus leaves Yerevan at 11am and costs 300 dram. We hired a car in Armenia, and managed to get two speeding tickets and hit a few potholes on the way to Geghard! Noravank Monastery is set amongst jaw-dropping red cliffs in a remote gorge off the Yerevan-Goris highway. High profile bishops and princes were housed in the 13th century monastery. The Mongols raided the monastery in 1238 AD, but monastery has been able to retain its medieval charm. Noravank is a popular day trip from Yerevan, so get here early to beat the tourists. Noravank has a small museum too, which has a few medieval artefacts and artworks. Noravank Monastery is located 116 kilometres south-east of Yerevan. 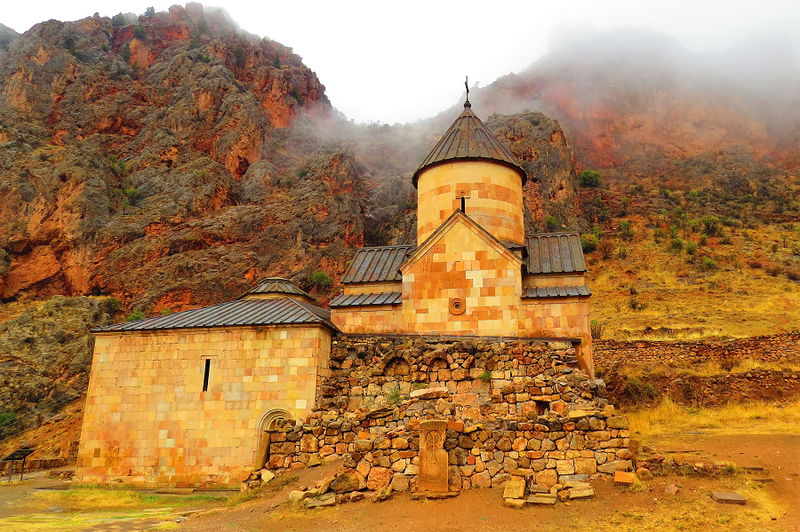 We recommend visiting Noravank Monastery on a day tour from Yerevan or with your own car. Marshrutky (minivans) from Yerevan or Yeghednadzor can also drop you off at the turn off just outside Areni (at Edem Restaurant). From there you can walk or hitchhike the 6km to the monastery. The Tatev Monastery is one of the most far-flung monasteries in Armenia. As a result, many travellers sadly skip this stunning spot. But we promise it is worth the drive! The monastery is set high upon a clifftop overlooking a huge valley. This working monastery was built in the 9th century and has an eerie medieval feel. Monks still live here, so if you’re lucky you will see them dressed in full garb wandering the grounds. Tatev Monastery is located 250 kilometres south-east of Yerevan, but the journey can take up to 6 hours. 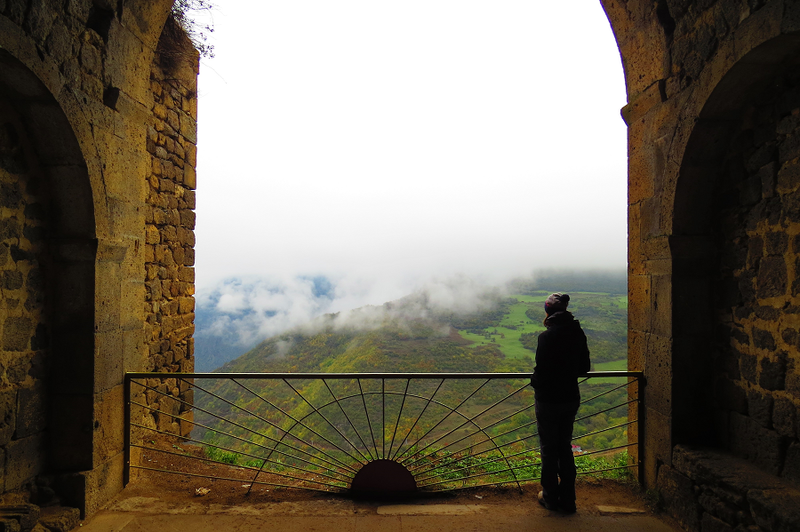 The easiest way to visit Tatev is by tour or your own car. You can also catch a mashrutka from Yerevan’s Kilikia bus station to Goris (one per day, 3000 dram), or a shared taxi. Most people hire a taxi from Goris to the ‘Wings of Tatev’ cable car in Halidzor village (22 kilometres). The cable car runs between Halidzor and Tatev Monastery (5000 dram return). There are also a couple of mashrutkas to Tatev that leave from the market on Syuniki St in Goris. Check with your guesthouse for current timetables. 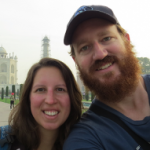 We also met a couple of backpackers who had successfully hitchhiked around the area. The hilltop monastery of Sevanavank is not the biggest in Armenia, but it arguably has the best views. The monastery is situated on a peninsula just north of Sevan, and offers panoramic views of Sevan Lake and the surrounding snow-capped mountains. Princess Mariam founded the church in 874 AD. She was a true romantic, having built numerous churches across Armenia in memory of her late husband. By the 19th century, errant monks were being reformed at the isolated monastery. Sevanavank was initially built on an island, but after the artificial draining of Lake Sevan during the Soviet era the island became a peninsula. Perhaps not isolated enough for errant monks any more! 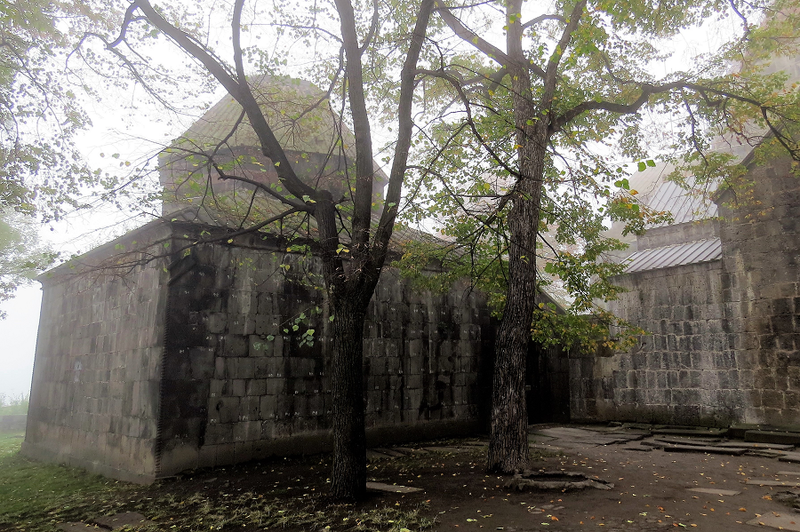 Sevanavank Monastery is located 82 kilometres north-east of Yerevan. There are plenty of tour companies and hostels in Yerevan organising day trips to Lake Sevan, which include Sevanavank Monastery. You can also catch a marshrutka from Yerevan’s northern bus station to Sevan. Arrive by 10am to reserve your seat. From Sevan, you can catch a taxi to the monastery (1000-1500 dram). The Sanahin Monastery is located in the beautiful Debed Canyon. The monastery is in a remote part of northern Armenia, but had a huge influence on medieval architecture across the country. Sanahin is now a UNESCO World Heritage site due to its architectural importance. The monastery was built during the Byzantine era between the 10th and 13th centuries, along with nearby Haghpat Monastery. It served as an important centre of learning during medieval times. As a result, you can still find medieval libraries and secret hiding places for manuscripts in the complex. We recommend paying a small tip for the official tour that is offered. The guide will give you a sneak peek into rooms that are usually locked, and can offer a fascinating insight into the history of Sanahin. Sanahin is located near the village of Alaverdi in the Debed Canyon, 165 kilometres north of Yerevan. 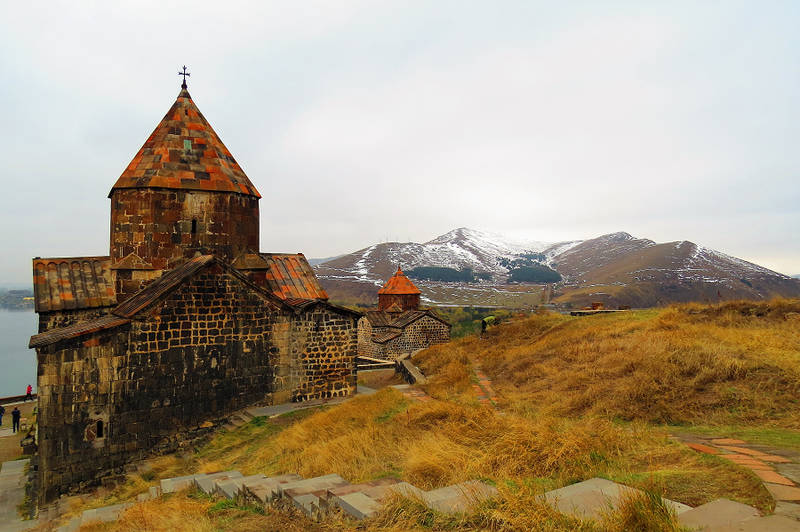 We drove to Alaverdi in our trusty Nissan Micra hire car – big mistake. Local officials have closed the ‘main road’ for roadwork (expected to be finished in 2018), which requires a very rough and long detour. Perhaps a good place to hone your 4WD-ing skills, but not the best for driving tiny hatchbacks. Your best option is to catch a marshrutka. Marshrutka depart Yerevan’s Kilikia bus station daily for Alaverdi. If you can’t find a direct connection, you can also catch a marshrutka to Vanadzor then catch another to Alaverdi. Wow, This are the most beautiful monasteries, what i loved is, all monasteries are covered in Natures beauty. Would love to finally get to Armenia. We have a good friend who is Armenian-American who keeps insisting and as lovers of wine, Armenia has thrown its hat into the ring on who developed wine first. Would be very interesting to explore their wines, wine production, etc. Hopefully next year.